Sam Smith was getting to know his new waxwork in Masame Tussauds San Francisco. 21. 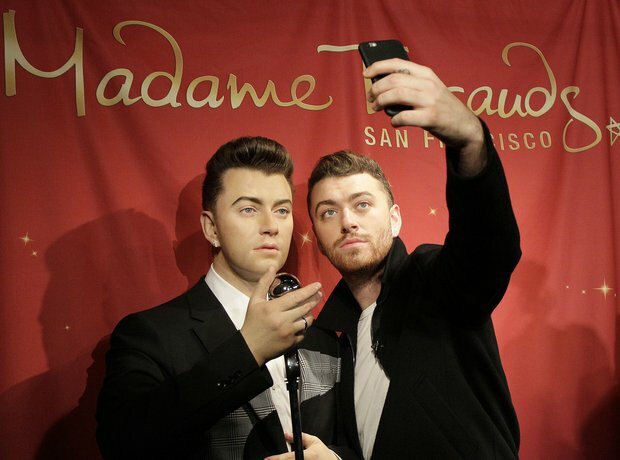 Sam Smith was getting to know his new waxwork in Masame Tussauds San Francisco.